Heavy Duty Flange Coupling - Flexible Heavy Duty Couplings | System Components, Inc. Maximum angular misalignment 1/2° per gear mesh. 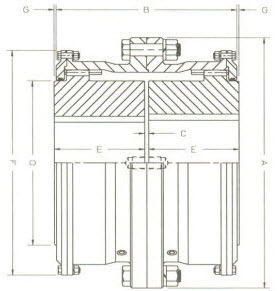 Applications in excess of 1/2° misalignment per flex half coupling should be referred to SCI.